GMA Network continues to bring pride to the country as the most internationally-awarded broadcast network in Philippine Television won seven medals and seven certificates at the prestigious 2018 U.S. International Film & Video Festival including four gold medals — the biggest gold medal haul by the network in the competition to date. Once again, the Network’s News and Public Affairs group dominated the recipients of this year’s awards. Bringing home a Gold Camera Award was “Alaala: A Martial Law Special”, which won in the docudrama category. Bannered by Kapuso actor Alden Richards, Alaala aired in commemoration of the 45th anniversary of President Marcos’ declaration of Martial Law. Bringing home a Gold Camera Award was “Alaala: A Martial Law Special”, which won in the docudrama category. 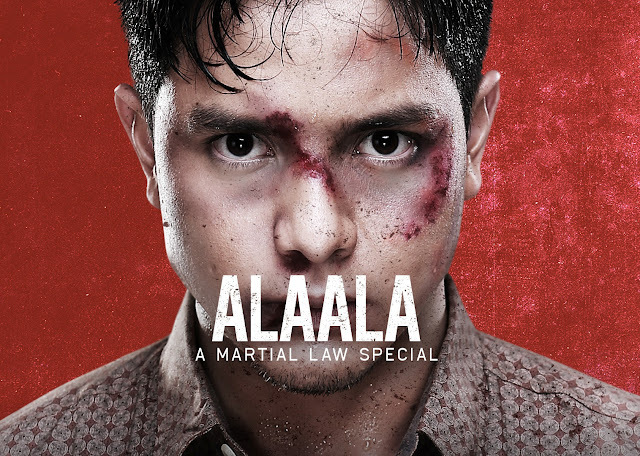 Bannered by Kapuso actor Alden Richards, Alaala aired in commemoration of the 45th anniversary of President Marcos’ declaration of Martial Law. It took viewers through the journey of Martial Law activist and award-winning screenwriter Bonifacio Ilagan (portrayed in the special by Richards) — as well as Ilagan's good friend Pete Lacaba, played by Rocco Nacino and his activist sister Rizalina, portrayed by Bianca Umali. Documentary program Reel Time, at the same time, earned a Gold medal in the Documentary: Social Issues category for its “Batang Maestro” episode. The winning piece featured a 12-year-old Dagul, who together with his fellow ‘little teachers’, braves the long river of Donsol on board a bamboo raft to teach younger children how to read. Meanwhile, Kapuso documentarist Atom Araullo earned two gold medals — one for his first GMA documentary special, Philippine Seas, and another for his I-Witness episode entitled “Silang Kinalimutan”. A special that aimed to uncover the wonders and threats surrounding the Philippines’ marine gems, Philippine Seas won in the Documentary: Environment, Ecology category. “Silang Kinalimutan”, on the other hand, which is Atom’s first documentary for I-Witness, triumphed in the Documentary: Social Issues category. It showed the story of the Rohingya people who had to flee to neighboring Bangladesh after the Myanmar government denied them citizenship. A Silver Screen Award was conferred to Raffy Tima’s "Inside Marawi: A Report On 360 Video”. The said video, which was shot and produced by Tima as he traveled through the war-torn city with his 360 degree video camera, won in the Craft/Production Techniques: 360 Video category. Meanwhile, multi-awarded investigative program Reporter’s Notebook gave the country a silver medal in the Documentary: Social Issues category. The winning report by Maki Pulido, entitled “Yapak sa Pusod ng Dagat”, saw the story of Filipinos who risk their lives diving into the ocean without proper equipment in the hope of mining gold that they could sell. On top of the 7 medals, GMA Network also received seven “Certificate for Creative Excellence” for the following: I-Witness’s “Huling Gabi” by Howie Severino and “War Zone ER” by Sandra Aguinaldo (both in the Documentary: Current Affairs category); Brigada’s “Combat Camera Team” by Marisol Abdurahman and Raffy Tima (Documentary: Current Affairs category); Born To Be Wild’s “Bagong Mukha ni Pag-asa” by Doc Nielsen Donato (Documentary: Public Affairs Programs category); Reel Time’s “Hawla” (Documentary: Health, Medical category); and GMA Public Affairs Anniversary Special “Sa Serbisyong Totoo, Nabago Ang Buhay Ko” (Documentary: News Specials category.